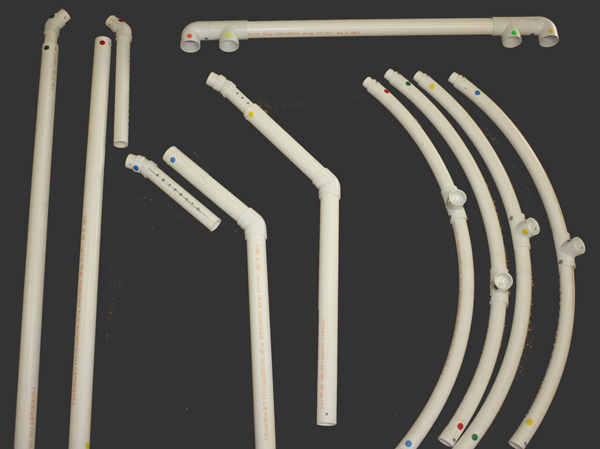 Assembly Takes 15 minutes each piece is color coded to match its counterpart. Make sure the color dots are facing up. 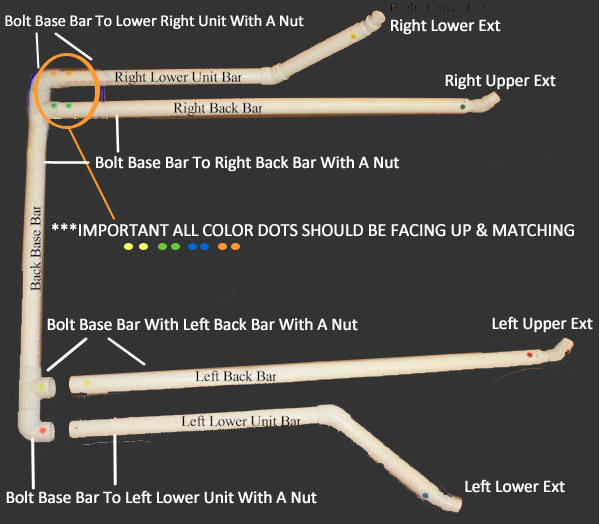 Match the color codes and insert the Right & Left Lower Bars to the Back Base Bar (Attach with Bolts with Nuts). Then insert the Right and Left Back Bars to the Back Saddles on The Back Base Bar (Attach with Bolts with Nuts). 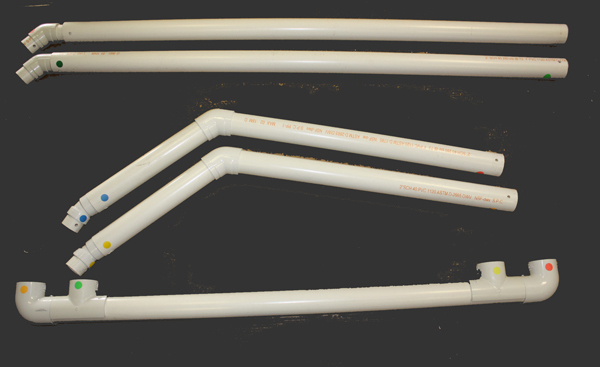 Insert Upper and Lower extensions into Lower Unit Bars and Back Base Bar (match color codes) (Upper extensions are longer than the lower extensions). Attaching The Ring To The Base Stand base up using bolts in the pre drilled holes to stand the back bars up. . 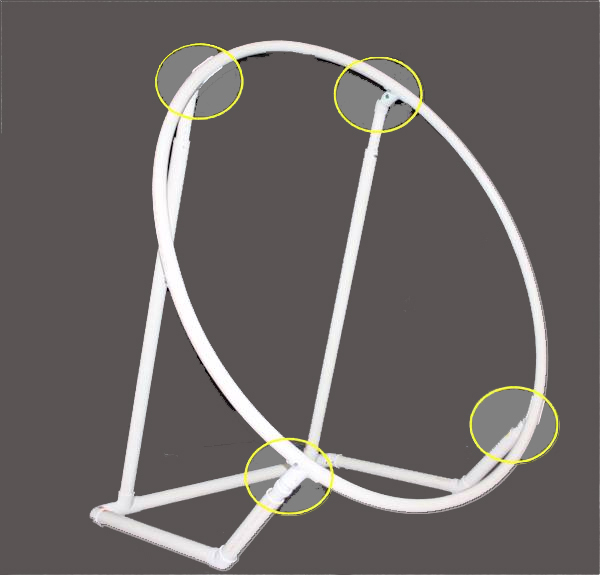 Attach the ring to the base by sliding the ring saddles into the base connectors. Use dish soap to make it slide easier. Once they are attached insert bolts top hold in place. 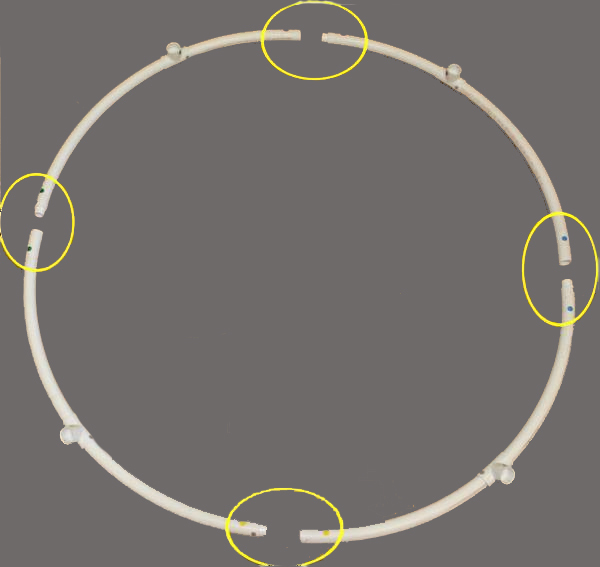 Once ring is attached bolts should be used to adjust ring as shown on Chart. Here is some supplemental information to help you adjust your new Super Swing Trainer. We know you will be excited by the improvement in your game when you practice regularly as suggested in the instructional video. This is just a guideline so if your swing plane feels to upright or flat move the upper pin up or down 1 hole.